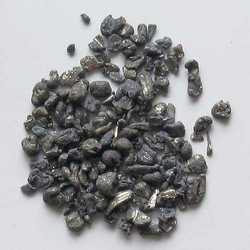 Importer of a wide range of products which include calcium metal. We provide a wide collection of Calcium Metal that is processed under the guidance of our highly skilled professionals. These metals are playing an active role in various industries and such metals may have a corrosive effect too. Available in various forms, our range of Calcium Metal are robust, durable and dimensionally accurate. These are procured from reputed manufacturers in the market and are supplied to clients by us after the assurance of their quality.